(Newser) – Chicago police are on the hunt for another alleged killer, the twist this time being that they can blame the court system's red tape. Garrett Glover, 29, had been in custody, but he was released last week because of an apparent communication gaffe, reports WGN. Glover is charged in a 2012 fatal shooting, and he's supposed to be in prison on a $2 million bond until the trial. 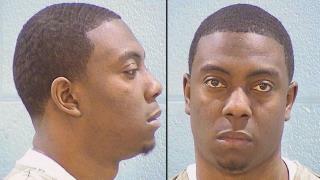 He caught a break on Thursday, however, when he appeared in court in an unrelated case, explains the Chicago Tribune. He'd been in prison since 2014 for attempted armed robbery, and he was granted early release in that case because of time served. At that point, he should have been shuttled back to prison because he still faced the murder charges, but the court never received word. A step in the right direction would be if the Illinois Legislature drafted, and the Governor signed, a bill making membership in a gang a felony offense. Anyone identified by the police as being a gang member, could be arrested and charged with criminal conspiracy. Gangs are factories of crime, and they need to be shut down. This Is Not A Mistake It's The Norm In Chicago Black Killing Black Get Out Of Jail Free Card So Long As You Kill Again. BLACK THAT IS..